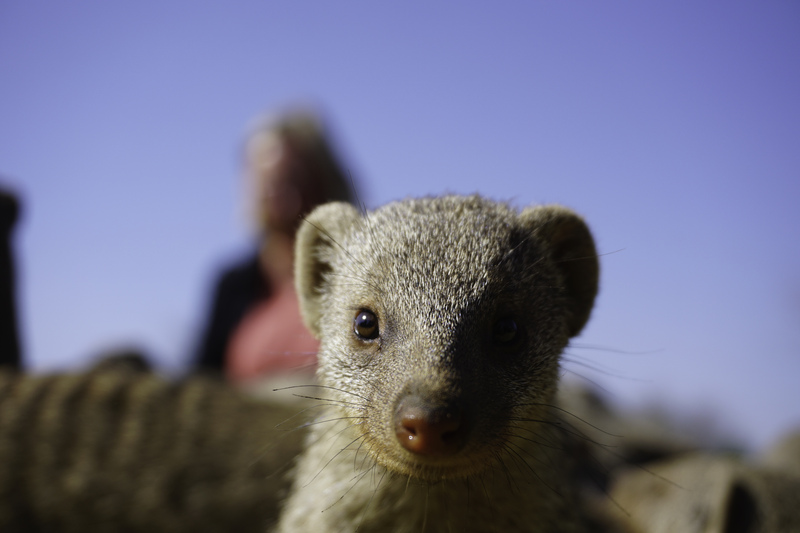 The Banded Mongoose likes raw meat. Red, raw meat. It doesn’t seem like the smartest thing in the world to lie on the ground when the guide is tossing it out to the 50 or 60 that come running when he calls. I think… I should have brought the long lens. He spins after missing a chunk of meat and looks at me quizzically. Not sign of fresh cuts I suppose. He turns back to the frenzy.